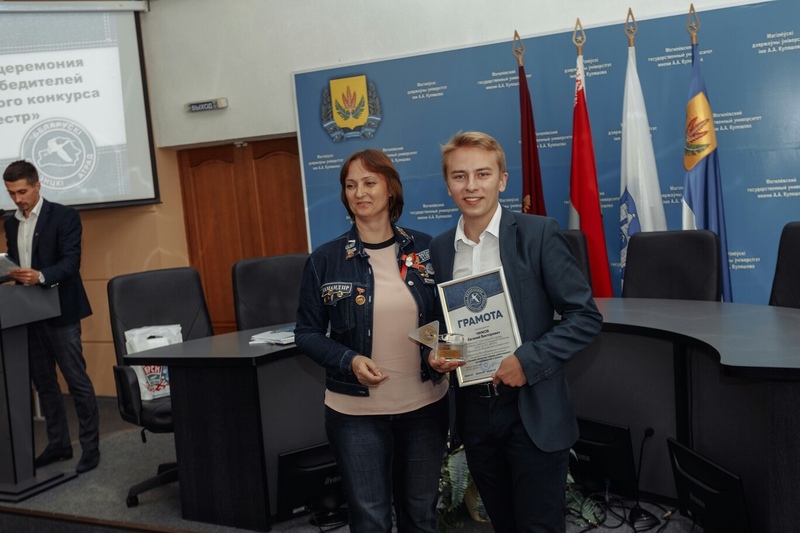 The solemn ceremony of awarding the winners of the National Competition ‘Labor Semester’ took place in the framework of the seminar on the development of the student team movement in the city of Mogilev on June 19. 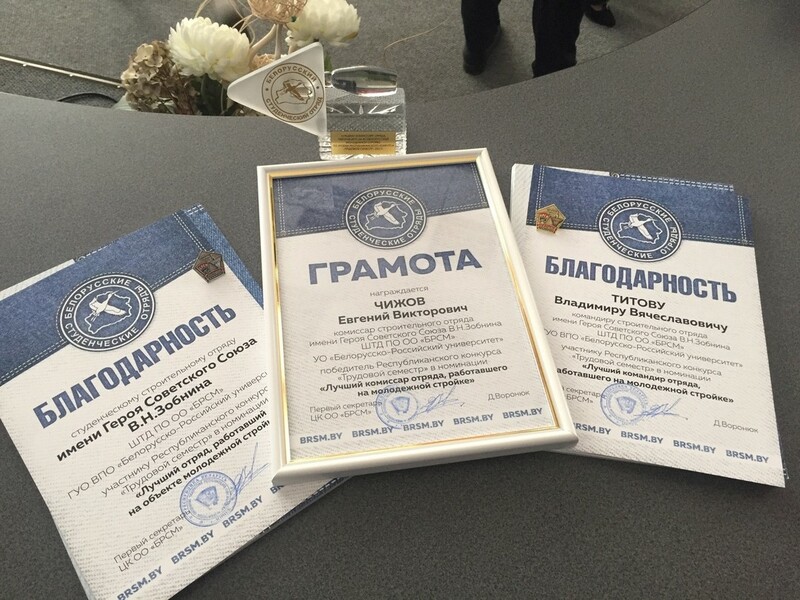 The students of the Faculty of Construction of the Belarusian-Russian University were among the prize winners of the competition. A Certificate of Gratitude in the category ‘The Best Team Involved in Working on the Young People’s Construction Sites’ was given to the construction team named after Hero of the Soviet Union Vasily Nikolayevich Zobnin and the team leader Vladimir Titov, who had worked at the Young People’s Construction Site of Mogilev Region (the headquarters of labor activities of the Belarusian-Russian University). The team co-leader Evgeny Chizhov became the winner of the category ‘The Best Co-Leader of the Young People’s Construction Site’.